The HTC Desire (HTC G7) is the first smartphone of the Desire series developed by HTC. It was announced on 16 February 2010 and released in Europe and Australia in the second quarter of the same year. It is equipped with a 3.7 inch AMOLED screen. 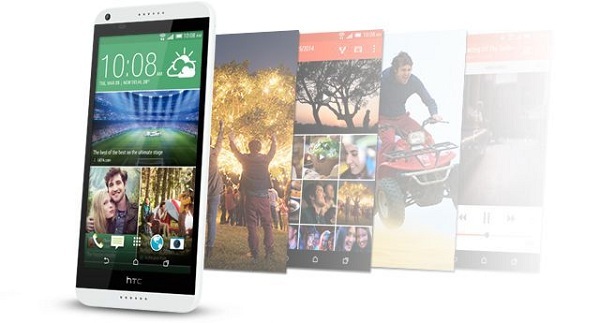 The HTC Desire was HTC's third flagship phone running Android, the same with Nexus. According to HTC website, we can see that audio and video formats HTC Desire supported as following. 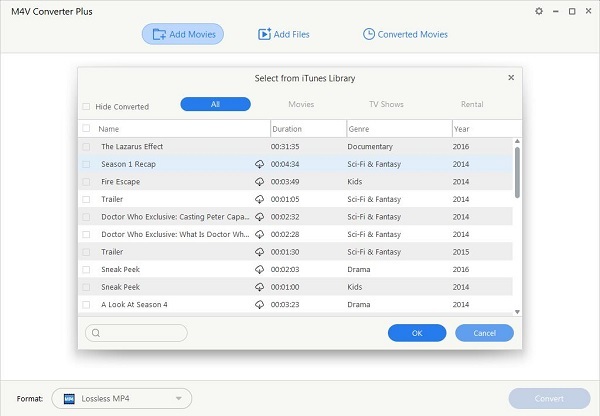 However, iTunes movie Purchases or Rentals, TV episodes and music videos got from iTunes Store are M4V video format with Apple DRM protection, which can be only played on Apple devices like iPhone, iPad, iPod, etc. Obviously, HTC Desire can not play iTunes media directly. So how to play iTunes movies on HTC Desire easily? The most effective method of playing iTunes movies on HTC Desire is removing DRM from iTunes M4V videos at first. The recommended tool is iTunes to HTC Desire Converter - M4V Converter Plus for Win, best DRM removal software as well. It can convert DRM protected iTunes videos to standard MP4, WMV, AVI and other HTC Desire compatible formats. See main fratures of the iTunes to HTC Desire Converter for Windows below. Remove DRM protection from iTunes protected M4V files. 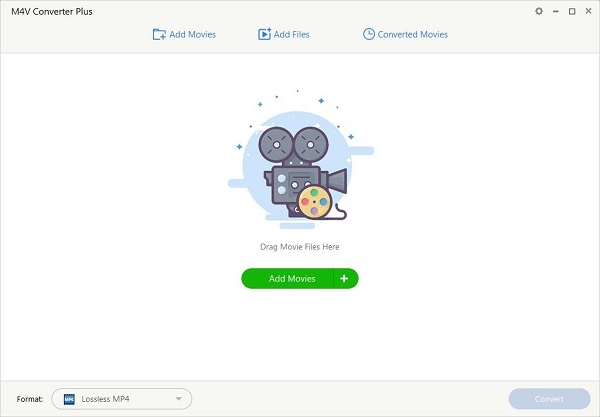 Convert iTunes M4V to almost popular video files like MP4, MOV, AVI, FLV, MPG, etc. Extract audio from iTunes M4V videos and save as AAC, WMA, MP3, AMR, etc. Support a lot of presets for iPod, iPad, iPhone, Sony PSP, Sony PS3, Apple TV, etc. Easy to use and output files with high conversion quality. Here is an easy guide to remove DRM and play iTunes videos on HTC Desire for Windows users. If you are a Mac user, you can click here to get a Mac version. Step 1: Free download M4V Converter Plus for Win on your PC, install and launch it. Tips: The software is a trial version, you can only convert 1 minute each file. After you purchase this program, you would get registration Name and registration code to remove the limitation. Step 2: Click Add Movies button to import iTunes movie purchases, Rentals and TV shows you want to convert. 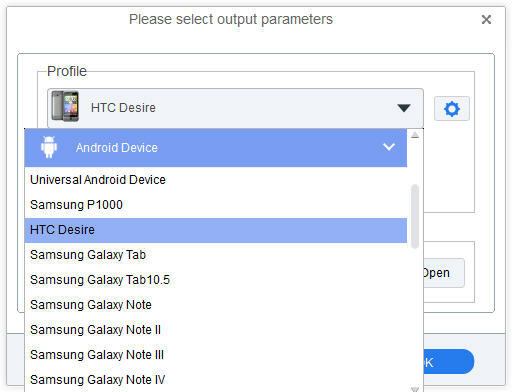 Step 3: In the drop-down list of Profile, find the output profile category Android Device and click to select HTC Desire. You can also set MP4, AVI, WMV as output format. Step 4: Click Profile blue box to start M4V to HTC Desire conversion.